Shirma Rouse is a musical force to be reckoned with. Raised in the Caribbean island of Sint Eustatius, she moved to the Netherlands at age 19 to study and soon started her musical career. At first, she mainly provided backing vocals for a range of artists, among which Chaka Khan, Michael Bolton, Alain Clark, Candy Dulfer, Extince, Wouter Hamel, and Glennis Grace. She sang with Holiday On Ice and the Metropole Orkest, and was the regular backing vocalist for bestselling Dutch singer Anouk. Shirma also accompanied her at the 2013 Eurovision Song Contest, where she was crowned Best Backing Vocalist of the whole event by The Eurovision Times. She released her first album Chocolate Coated Dreams in 2010, all by herself. It was followed by Shirma Sings Aretha in 2012 and Shout It Out Loud in 2014. All three albums were accompanied by extensive tours and also released in Japan. 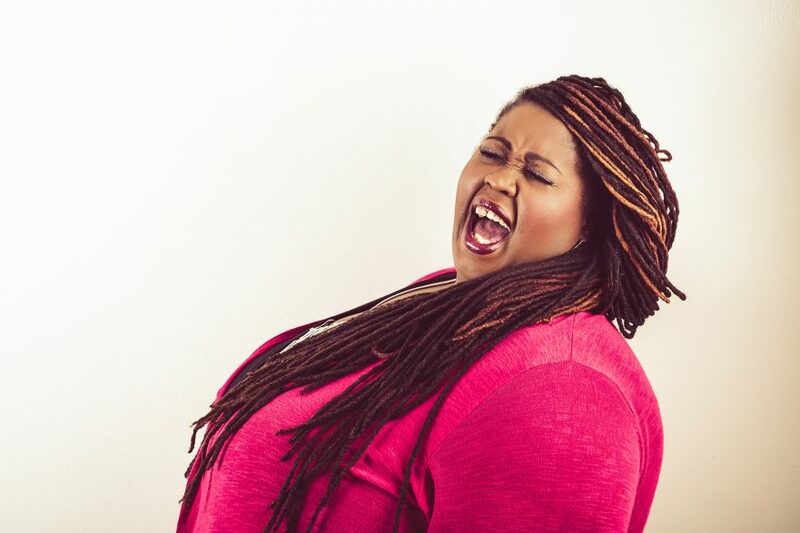 After enrolling in hit TV show The Voice Of Holland in 2013, Shirma’s career rose to the next level, causing her to become a popular guest on many TV and radio programs. But Shirma takes on much more. She teaches, founded the Masterclass Vocal Academy with fellow singer Berget Lewis, is a regular guest at the renowned jamsessions at Amsterdam’s Club Dauphine, an ambassador for the Dushi Vriend foundation and also hosts Shirma’s Soul Kitchen, a monthly event where she treats 150 guests to her fabulous cooking and music. In 2015, Shirma was awarded the prestigious Edison Jazzism Publieksprijs and embarked on a Holland Casino tour with pianist Jan Vayne. In 2016, she is planning to release a new album, among other exciting things.